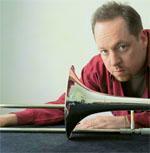 Steve Davis is widely regarded as one of today's leading improvisors on the trombone. His lyrical, hard-swinging style first gained him broad recognition during the 1990's while working with the bands of jazz legends Art Blakey, Jackie McLean, Chick Corea's acclaimed sextet Origin and the renowned cooperative sextet, One For All. 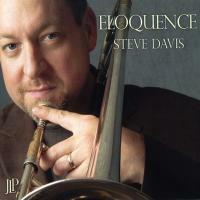 Born in Worcester, MA in 1967, Steve was raised in Binghamton, NY and graduated in 1989 from The Hartt School's Jackie McLean Institute of Jazz (University of Hartford). It was Mc Lean's guidence and recommendation that helped Davis land his first major gig with Art Blakey in NYC in Dec 1989. 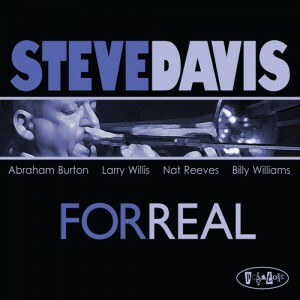 Steve returned to Hartford in 1992 to join Mc Lean's sextet and begin teaching alongside his mentor at both the Hartt School and Artist's Collective. Davis has resided in Hartford ever since. In May 2006, Davis presents his 9th CD as a leader, "Update" (Criss Cross) which features the stellar line-up of Peter Bernstein, Anthony Wonsey, Nat Reeves, Joe Farnsworth and special guest Roy Hargrove. Lately, Steve has been leading his own bands with more frequency including an all-star quintet featuring Steve Nelson, Larry Willis, Nat Reeves and Joe Farnsworth. Davis has also formed a new quartet/quintet featuring rising stars David Bryant (piano), Dezron Douglas (bass) and renowned drummer, Eric McPherson. On occasion, the band is augmented by exciting, frontline-mates Mike DiRubbo - alto sax and/or Ray Mc Morrin - tenor sax, Josh Evans - trumpet. 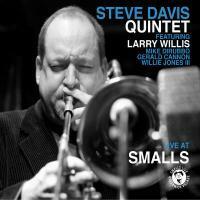 Steve also continues to perform and record with the well-known, collective unit One For All (feat. 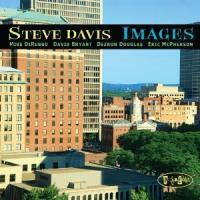 Eric Alexander, Jim Rotondi, David Hazeltine, Peter Washington, Nat Reeves or David Williams and Joe Farnsworth). The band has recorded 11 CD's since 1997 for Sharp Nine, Criss Cross and Venus/Japan. 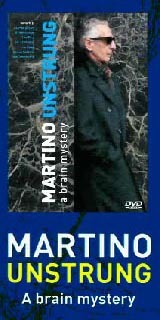 Both their recordings and live performances have garnered rave reviews. In 2006, Second Floor Music will be publishing One For All sextet charts in two sets, as recorded on the group's first two CD's, "Too Soon To Tell" (1997) and "Optimism" (1998) for Sharp Nine Records. 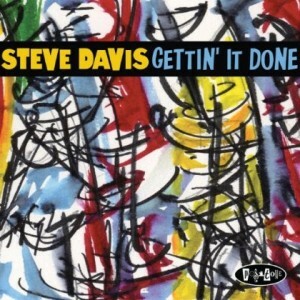 Ever in-demand as a sideman, Davis is featured on over seventy recordings and has worked in recent years with a broad range of jazz icons including Horace Silver, Cecil Payne, Larry Willis, Freddie Hubbard (w/ New Jazz Composers Octet), The Dizzy Gillespie Alumni All-Star Big Band/Sextet, Slide Hampton`s World of Trombones, Wynton Marsalis (w/ Lincoln Center Jazz Orchestra) and Steve Turre's One 4 J.
Steve has also worked with a variety of his peers over the years including Claudia Acuna, Eric Alexander, Abraham Burton, Avishai Cohen, Mike DiRubbo, Dena DeRose, John Farnsworth, Jimmy Greene, Roy Hargrove, Stefon Harris, Nicholas Payton and Michael Weiss. Davis continues to lead an active teaching career at the Hartt School`s Jackie McLean Institute of Jazz (University of Hartford) where he has been on faculty since 1991 and now teaches exclusively. Steve also continues his long-time affiliation with the Artist`s Collective (founded by Jackie and Dollie McLean) in Hartford, CT where he makes his home (in West Hartford) with his wife, pianist Mary DiPaola-Davis and children Tony and Angie.